a talking pony Archives • A Talking Cat!?! 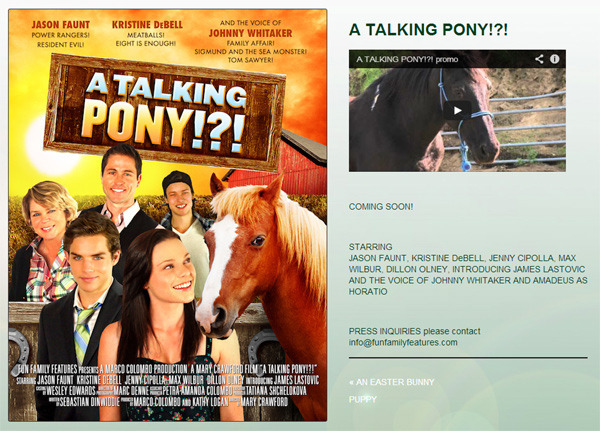 Aside from starring Kristen DeBell and Johnny Whitaker in two entirely different roles from A Talking Cat!? !, here are two things I’d like to point out from the promo page for A Talking Pony!?! One, look at the cover and the video. Just like A Talking Cat!? 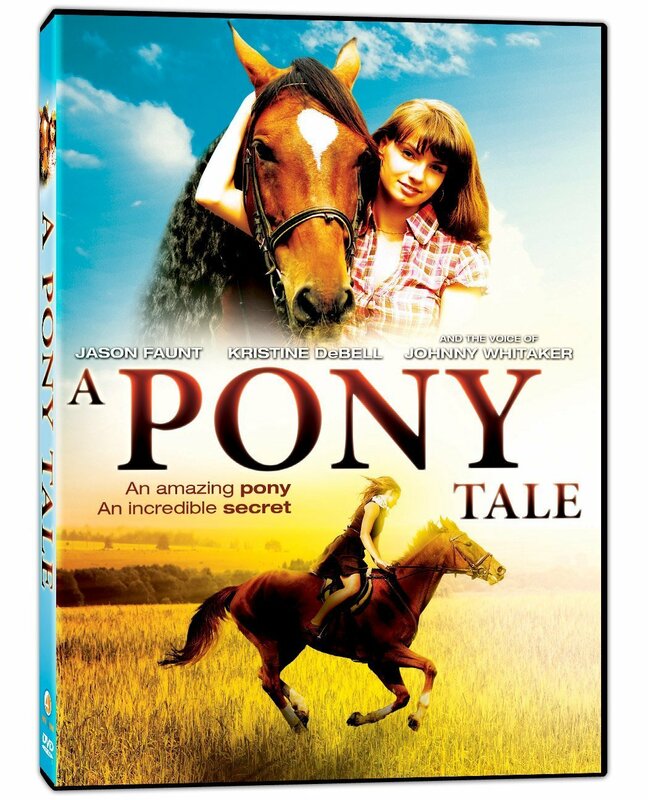 !, they got a “pretty” animal for the cover that isn’t in the movie. They’re side by side! Just look up and to the right! It’s right there! It’s different! On the promo page! Two, I don’t know much about ponies, but that’s a straight up horse. The !?! just got a little bit bigger.